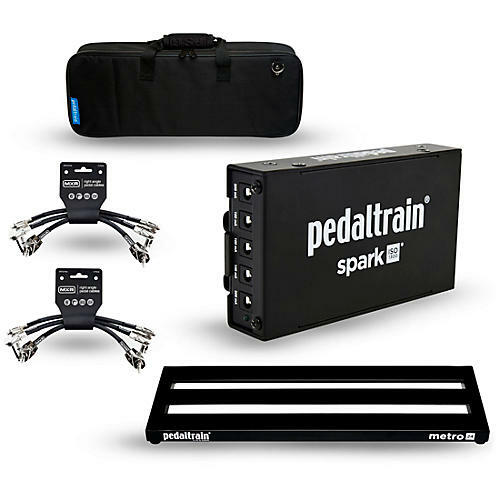 This all-in-one bundle gives you everything you need to get your pedal rig singing. The Metro Series is Pedaltrain's first three-rail pedal board system and is perfect for players who need a portable, grab-and-go solution. Musicians who live or work in urban settings or tight spaces will appreciate Metro' featherweight aircraft-grade aluminum construction, low profile and horizontal orientation. Metro 24 also comes with a redesigned fitted soft case (featuring a heavy-duty metal zipper and reinforced stress points).